Alexander Gourlay teaches at the Rhode Island School of Design; he is currently assembling a festschrift of Blake essays in honor of John E. Grant. Mary Lynn Johnson, after 17 years as a special assistant to three University of Iowa presidents (and two interim presidents), is celebrating the new century by returning to her roots as a scholar. She is author of a chapter on Blake’s Milton in the forthcoming Cambridge Companion to William Blake. 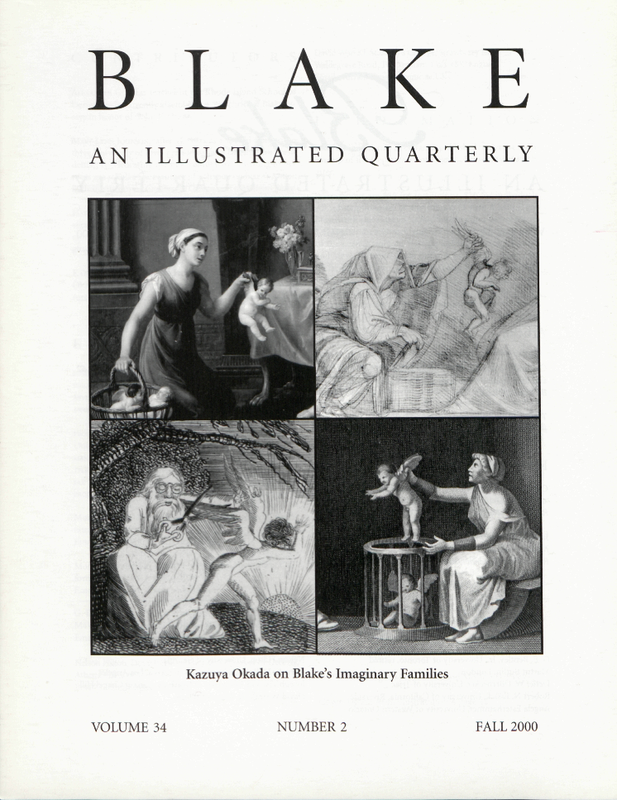 Hatsuko Niimi, Professor of English at Japan Women’s University in Tokyo, has published essays on British romanticism, including several on Blake, in both Japanese and English. Kazuya Okada is Associate Professor of English Literature at Okayama University, Japan. He has published articles on romantic poetry. Cover: Details from illustrations on page 42.